A kitchen disaster is inevitable if you spend any time cooking. 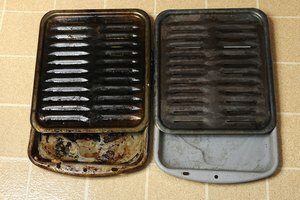 Eye-watering and smelly smoke from burnt vegetable oil may only seem a minor disaster, but the odor can persist for days or even weeks if you don't eliminate it quickly. 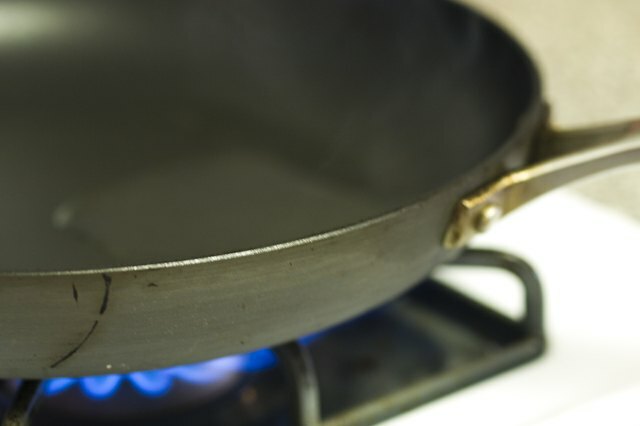 Be prepared to combat any smoke next time you heat up vegetable oil for frying so that smoke removal is nothing more than part of your normal cooking cleanup routine. Airing out the kitchen will alleviate some of the smoke and odor right away. Turn on the oven hood fan and open two windows, preferably at opposite ends of the room, so the smoky air can escape. You can speed up the process with a portable fan aimed to push the smoke out the windows. If your hood fan doesn't seem to work, the filter may be clogged. Some filters require replacements, while others are made of metal and are washable. 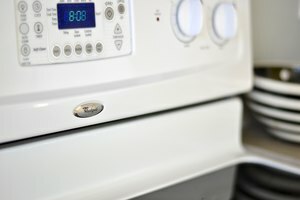 Wash the filter in hot, soapy water, rinse and dry it before reinstalling it in the oven hood. The burnt odor and smoke will persist as long as the culprit is in the kitchen. 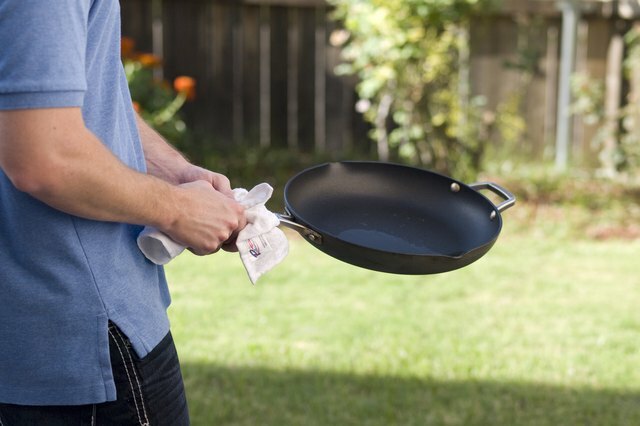 If possible, move the pot of offending vegetable oil outdoors until it cools enough for proper disposal. Set it on top of a trivet or towel so the hot pot doesn't scorch outdoor tables or chairs. After the oil cools, pour it into a metal can for disposal. Avoid pouring vegetable oil down the sink – not only will the smell remain in the drains, it can also cause clogs. If the pot is badly burned you may want to scrub it outside in a bucket of hot water to remove the surface oil residue before bringing in indoors for a more thorough cleaning. Vegetable oil smoke leaves greasy particles on everything it touches. This can leave behind the smoky odor long after the meal is gone and the dishes are put away. 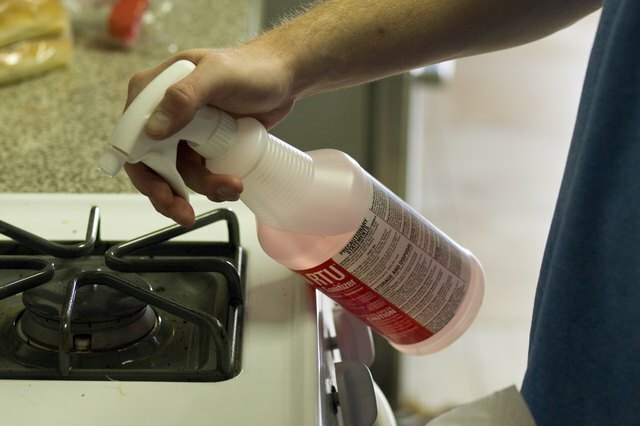 Remove the grease from stove tops, counters, walls and ceilings promptly. Washing everything the smoke came in contact with using a grease-cutting all-purpose cleaner eliminates most of the remaining smoke vestiges. Wash the cleaning rags and sponges promptly so they don't harbor the odor. If some smoke odor remains even after ventilating the kitchen and a thorough cleaning, it's time to deodorize. For light smoke odors you can simply soak a rag in vinegar and wave it around in the kitchen. Deodorizing sprays may also eliminate mild vegetable smoke odors. 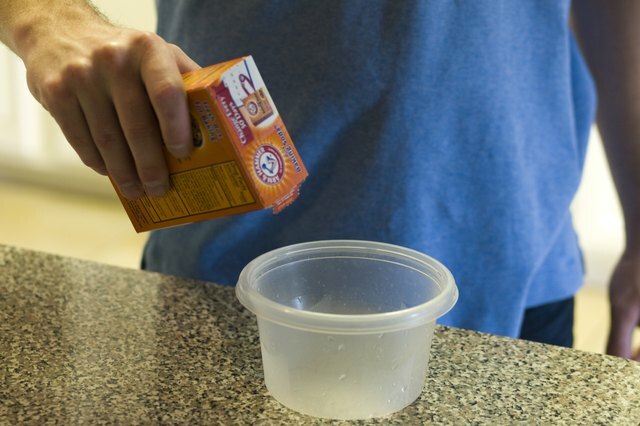 For stronger odors, leave bowls of baking soda on the counter to absorb the smell. 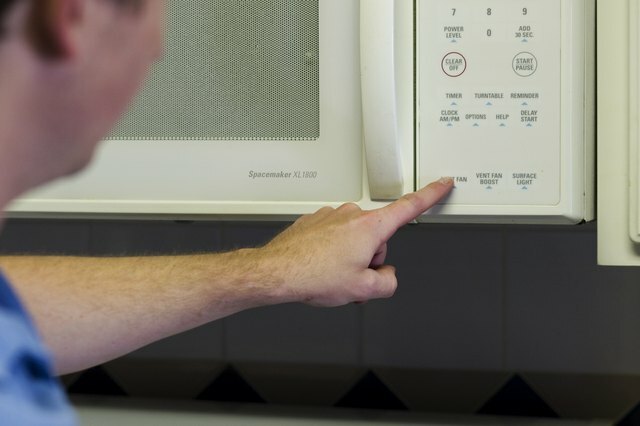 If guests are on their way, you can speed the process with a slow cooker and baking soda: Mix 2 or 3 tablespoons of baking soda with 1 or 2 cups of water in your slow cooker, and then turn it on low with the lid off. 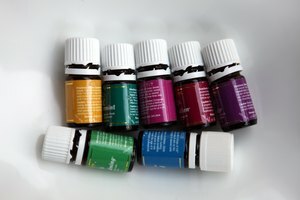 Adding a few drops of essential oil or a few cinnamon sticks and cloves can help mask the smell until the baking soda pulls the smoky odor out of the air. The Kitchn: What's the Best Way to Air Out the Kitchen After Cooking? University of Kentucky Extension: Odors: What's That Smell?